This study investigates what kind of mental image a design triggers when a user views the user interface and whether that image would be matched with the image of the real object in the user’s mind. 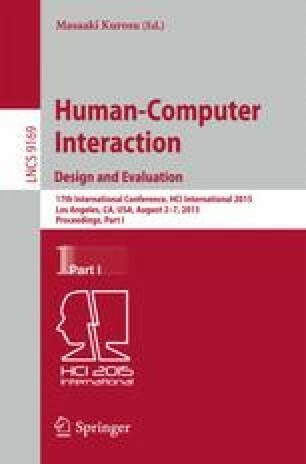 In this study, a standard scenario to design a remote control for lighting and temperature controls was given to 200 students completing an HCI course at graduate and undergraduate levels. The given scenario asked each student to provide a low fidelity prototype of a suggested design within a timeframe of 10 min. These prototypes were then classified and grouped into either concrete or abstract designs. The results of these investigations show that a majority of participants perceive abstract representations for their design rather than concrete: a depiction of a real light switch to represent turning lights on and off. Thanks all my students at San Jose State University who took part in this exercise.